On behalf of the government, the East West Rail Company is overseeing a project that aims to reinstate an east-west rail link across the region to cater for future growth, with the support of new local services which are quicker, cheaper and more reliable than the current transport options. Work on their western section of the route (from Oxford to Bedford) is already underway. 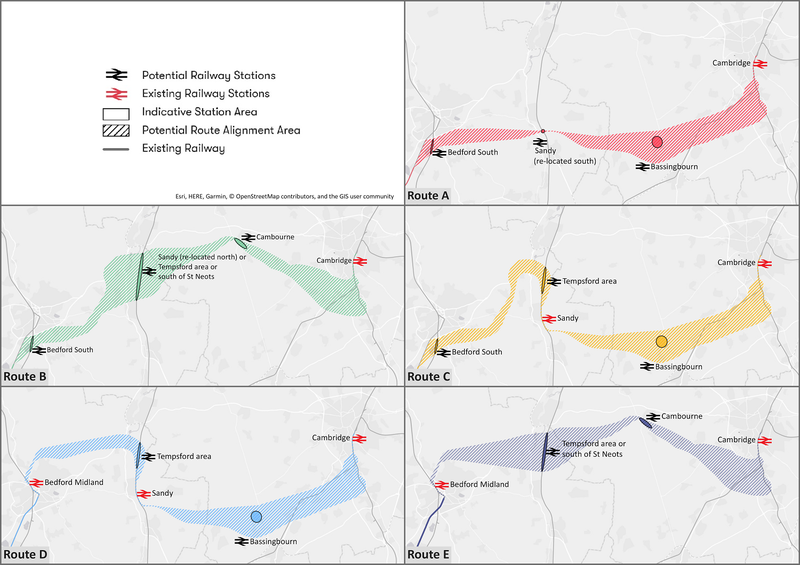 They have now put forward five route options for the Central Section of the rail line, to re-open a rail link between Bedford and Cambridge, via Sandy. You can read the full document at here. Whilst this is not our project, we are alerting Central Bedfordshire businesses and residents about this important consultation, as it may affect you. We will also be submitting our views as a council to this consultation. •	Tuesday 19 February 3:30pm - 7:30pm, at Potton and District Club, 34 Station Road, Potton SG19 2PZ. •	Friday 1 March 3:30pm - 7:30pm, at Sandy Village Hall, Medusa Way, Sandy SG19 1BN. You can give your views at these events, or download a feedback form which you can submit via email to: contact@eastwestrail.co.uk or post to: Freepost EAST WEST RAIL. Alternatively, call 0330 1340067. The deadline for submitting your feedback is 11.45pm on 11 March 2019.